For the best flower arrangements and gifts in Richmond, BC visit Touch of Flowers. Our professional florists can help you find the perfect flowers for any individual or occasion. Touch of Flowers delivers flower arrangements and custom bouquets throughout Richmond and offers same-day flower delivery for last-minute gift needs! We also offer nationwide flower delivery through our trusted florist network. Bright, fresh flowers make a thoughtful gift for any type of occasion. Touch of Flowers offers a wide variety of beautiful floral arrangements in Richmond BC. From gorgeous anniversary and Mother�s Day flowers to sympathetic get well and funeral flowers, floral gifts are the perfect way to show just how much you care. Trust Touch of Flowers for local, high-quality flower arrangements like cheerful birthday flowers for your friends and family or stunning Valentine�s Day flowers for the one you love. You never have to worry when ordering fresh flowers from Touch of Flowers in Richmond. Our expert florists can deliver the perfect floral gift for any occasion. Browse our website to find the right flowers for your special someone and order online or over the phone - it couldn�t be easier! Touch of Flowers will reliably deliver your arrangements throughout Richmond or any city nationwide! For dazzling, fresh floral arrangements in Richmond, you can trust the florists at Touch of Flowers. Our Richmond flower shop has a wide variety of gift baskets and plants for every occasion. Ordering from Touch of Flowers guarantees that your flower arrangements will be hand-delivered with care. Your special someone deserves the very best, so send a bouquet from one of the top flower stores in Richmond, BC. Other floral sites ship your bouquet in a box and leave it for your recipient to trim and arrange. If you want fresh, hand-delivered flowers in Richmond, count on the trusted florists at Touch of Flowers! You can trust that your professionally arranged bouquets will not disappoint and that your flowers will be delivered fresh and undamaged! 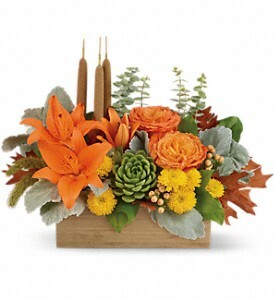 For flower delivery in Richmond, don�t take a chance on those other sites � order your gift from Touch of Flowers. Our shop serves the following areas: Richmond, Burnaby, Delta, Surrey and Vancouver. V6X 1V4, V7A 1K8, V6V 3A1, V7C 0C3, V6X 3P3, V7A 1L5, V6V 1N3, V6W 1E6, V6X 4L1, V7C 4J1, V7A 4S8, V6Y 0E8, V6V 3B5, V6X 4H6, V7C 1J8, V7C 3E9, V6Y 1A2, V7E 1L6, V7A 3J5, V7E 4J1, V6Y 1W3, V7E 4C4, V7E 3W3, V7A 1S9, V7A 1Z6, V7C 3L9, V6W 1G1, V6X 3A8, V6X 2E9, V7E 6P1, V7A 1P6, V7C 2P7, V7E 1Y3, V7A 4L6, V7A 3S1, V7E 3N4, V7E 3C1, V7A 5J8, V6V 1S9, V7E 6E8, V7E 1W8, V6X 1C6, V6V 2Y7, V6Y 0K7, V6V 2S7, V7E 2C3, V7C 1Z2, V6Y 0C2, V7A 1Y7, V7E 2P2, V7E 5R2, V6V 2T5, V7E 2N9, V6V 1A1, V6X 2H8, V6V 1G3, V7E 6J9, V6Y 1C7, V7C 3G2, V7A 4M1, V7E 4X8, V7C 3K9, V6Y 1N5, V6X 4L5, V7A 4B1, V6V 0A6, V6X 3S6, V7E 5B2, V7A 5A8, V6X 3A5, V7E 5M7, V7C 2B2, V7E 6H5, V6Y 2V5, V7C 4A7, V7A 3N3, V7B 1E7, V7C 2H4, V6X 1P1, V7B 1M6, V7E 4T3, V7E 3B2, V6Y 1N8, V7E 2N4, V7B 1J2, V6Y 1H9, V7A 3B8, V7C 3Z1, V6Y 1W5, V6V 1L7, V6X 2B6, V7E 5Y8, V7A 2B1, V6V 2P9, V7E 2E4, V6V 2L9, V7C 3T3, V6X 1E5, V7A 1V1, V7A 3K6.